Tesla has not received a formal proposal from its founder Elon Musk to take the company private, its board of directors has said. The electric carmaker said it had created a special committee of three directors to evaluate any such proposal. Mr Musk announced on Twitter on 7 August that he was considering taking Tesla private. 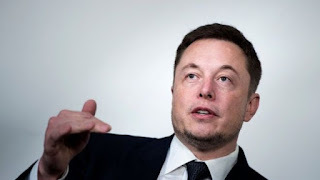 "The special committee has not yet received a formal proposal from Mr Musk regarding any 'going private transaction' nor has it reached any conclusion as to the advisability or feasibility of such a transaction," the company said.